William F. Bogle, Jr., Bogle Photography LLC, 388 White Crescent Circle, Ridgeland, SC 29936. Landscape photography in quiet and eloquent light. 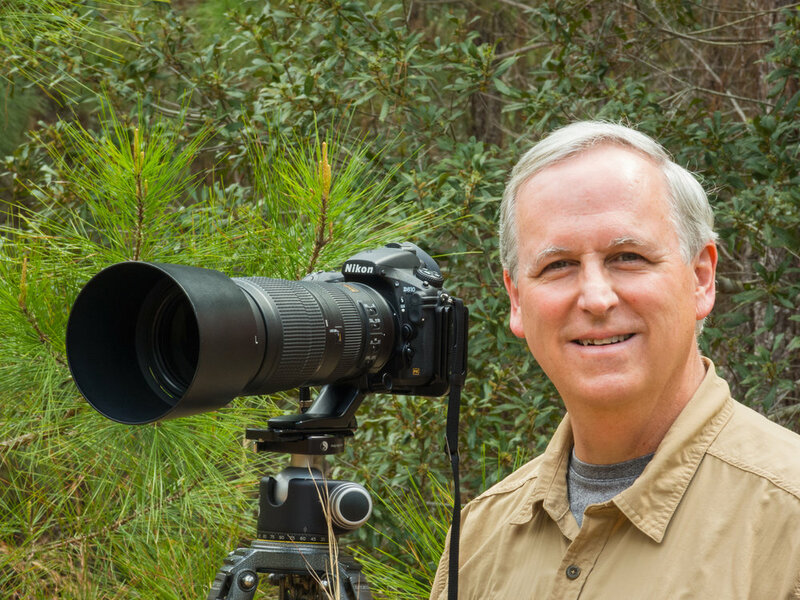 Lowcountry landscape photographer. Hudson River landscape photographer. National Parks landscape photographer. Fine art printer. Archival prints with Epson fine art paper and ink. Fine art prints, matting and framing. Click on address for a Map and directions. I will get back to you shortly. Please sign up for my Mailing List below to keep up with my activities and shows. I will not share your personal information. Promise. Thank you for your interest in Bogle Photography LLC. I will get back to you shortly. Click the Button to subscribe to my mailing list. 388 White Crescent Circle, Ridgeland, SC 29936 (843) 368-5678. All content and images are copyrighted and belong to creator. All Rights Reserved unless otherwise specifically given in writing. © 2018 Copyright William F. Bogle, Jr., Bogle Photography LLC ("Bogle Photography"). Defined terms shall have the meanings thereto ascribed. All content contained herein is the property of William F. Bogle, Jr., the creator. The images, text and coding on these pages may not be copied to another computer, hard drive, storage device, disk, or media, transmitted, published, reproduced, stored, manipulated, projected, or altered in any way, including and without limitation to any digitization or synthesizing of the images, alone or with any other material, by use of a computer or other electronic means, or any other method or means now or hereafter known, without permission of the creator. All Rights Reserved except those specifically given in writing. Contact William F. Bogle, Jr., Bogle Photography LLC, 388 White Crescent Circle, Ridgeland, SC 29936. Call (843) 368-5678 or e-mail Bill@BoglePhoto.com for approval. All violations shall be prosecuted. Your access to and use of this site in any manner shall constitute an acknowledgment by you that you agree to be bound by the terms and conditions of this notice. If you do not agree to these terms and conditions, do not access or use this site. This Website is owned, operated and maintained by William F. Bogle, Jr., Bogle Photography LLC, 388 White Crescent Circle, Ridgeland, SC 29936 USA (hereinafter "Bogle Photography") This website includes photographs, images, text, graphics, information, and publications, and is collectively referred to herein as the "Website". This Website is subject to copyright protection and is the property of Bogle Photography or its licensors. Bogle Photography makes no representations or warranties regarding the accuracy, reliability or completeness of the Website and Bogle Photography hereby disclaims all liability for any errors or omissions which may be present in this Website. You assume all risks concerning the suitability and accuracy of the Website. Bogle Photography assumes no responsibility for and disclaims all liability for any such inaccuracies, errors, or omissions in the Website and in any other referenced or linked documents. Bogle Photography may make changes to the information or specifications of this Website at any time and without notice. In the event that this Website contains links to third-party sites which are not under the control of Bogle Photography and Bogle Photography is not responsible for the content on any linked sites. Bogle Photography provides these links only as a convenience and the inclusion of a link does not imply, in any way, that Bogle Photography endorses or accepts any responsibility for the content on such third-party sites. If you access a third party site from this Website, Bogle Photography assumes no responsibility and you do so at your own risk. This website is operated by Bogle Photography, LLC. Throughout the site, the terms “we”, “us” and “our” refer to Bogle Photography. Bogle Photography offers this website, including all information, tools and services available from this site to you, the user, conditioned upon your acceptance of all terms, conditions, policies and notices stated here. The information contained on BoglePhoto.com (the “Service”) is for general information purposes only. Bogle Photography LLC assumes no responsibility for errors or omissions in the contents on the Service. In no event shall Bogle Photography LLC be liable for any special, direct, indirect, consequential, or incidental damages or any damages whatsoever, whether in an action of contract, negligence or other tort, arising out of or in connection with the use of the Service or the contents of the Service. Bogle Photography LLC reserves the right to make additions, deletions, or modification to the contents on the Service at any time without prior notice. Bogle Photography LLC does not warrant that the Service is free of viruses or other harmful components. This affiliate disclosure details the affiliate relationships of Bogle Photography LLC with other companies and products. Please note that the Bogle Photography LLC does not guarantee the accuracy, relevance, timeliness, or completeness of any information on these external websites. Bogle Photography LLC (“us”, “we”, or “our”) operates the BoglePhoto.com website (the “Service”). We may use your Personal Data to contact you with newsletters, marketing or promotional materials and other information that may be of interest to you. You may opt out of receiving these communications from us by following the unsubscribe link or instructions provided in any email we send or by contacting us. Bogle Photography LLC will also retain Usage Data for internal analysis purposes. Usage Data is generally retained for a shorter period of time, except when this data is used to strengthen the security or to improve the functionality of our Service, or we are legally obligated to retain this data for longer time periods. If you are a resident of the European Economic Area (EEA), you have certain data protection rights. Bogle Photography LLC aims to take reasonable steps to allow you to correct, amend, delete, or limit the use of your Personal Data. The right to withdraw consent. You also have the right to withdraw your consent at any time where Bogle Photography LLC relied on your consent to process your personal information. Please read these Terms of Service (“Terms”, “Terms of Service”) carefully before using the BoglePhoto.com website (the “Service”) operated by Bogle Photography LLC (“us”, “we”, or “our”). By creating an Account on our service, you agree to subscribe to newsletters, marketing or promotional materials and other information we may send. However, you may opt out of receiving these communications from us by following the unsubscribe link or instructions provided in any email we send. Bogle Photography LLC has the right but not the obligation to monitor and edit all Content provided by users. In addition, Content found on or through this Service are the property of Bogle Photography LLC or used with permission. You may not distribute, modify, transmit, reuse, download, repost, copy, or use said Content, whether in whole or in part, for commercial purposes or for personal gain, without express advance written permission from us. The Service and its original content (excluding Content provided by users), features and functionality are and will remain the exclusive property of Bogle Photography LLC and its licensors. The Service is protected by copyright, trademark, and other laws of both the United States and foreign countries. Our trademarks and trade dress may not be used in connection with any product or service without the prior written consent of Bogle Photography LLC. Bogle Photography LLC has no control over, and assumes no responsibility for the content, privacy policies, or practices of any third party web sites or services. We do not warrant the offerings of any of these entities/individuals or their websites. You acknowledge and agree that Bogle Photography LLC shall not be responsible or liable, directly or indirectly, for any damage or loss caused or alleged to be caused by or in connection with use of or reliance on any such content, goods or services available on or through any such third party web sites or services. You agree to defend, indemnify and hold harmless Bogle Photography LLC and its licensee and licensors, and their employees, contractors, agents, officers and directors, from and against any and all claims, damages, obligations, losses, liabilities, costs or debt, and expenses (including but not limited to attorney’s fees), resulting from or arising out of a) your use and access of the Service, by you or any person using your account and password; b) a breach of these Terms, or c) Content posted on the Service. In no event shall Bogle Photography LLC, nor its directors, employees, partners, agents, suppliers, or affiliates, be liable for any indirect, incidental, special, consequential or punitive damages, including without limitation, loss of profits, data, use, goodwill, or other intangible losses, resulting from (i) your access to or use of or inability to access or use the Service; (ii) any conduct or content of any third party on the Service; (iii) any content obtained from the Service; and (iv) unauthorized access, use or alteration of your transmissions or content, whether based on warranty, contract, tort (including negligence) or any other legal theory, whether or not we have been informed of the possibility of such damage, and even if a remedy set forth herein is found to have failed of its essential purpose. Bogle Photography LLC its subsidiaries, affiliates, and its licensors do not warrant that a) the Service will function uninterrupted, secure or available at any particular time or location; b) any errors or defects will be corrected; c) the Service is free of viruses or other harmful components; or d) the results of using the Service will meet your requirements. This Data Processing Addendum ("DPA"), forms part of the Agreement between The Rocket Science Group LLC d/b/a MailChimp ("MailChimp") and Bogle Photography LLC ("Customer") and shall be effective on the date both parties execute this DPA (Effective Date"). All capitalized terms not defined in this DPA shall have the meanings set forth in the Agreement.